Home Articles	7 Movie Screenings to check out in London this Summer! 7 Movie Screenings to check out in London this Summer! Now the sun is shining in London, it’s time to start making your summer plans! But what’s better than being in the heat and re-watching your fav films ALL summer long? Nothing! Luckily for you, we’ve got you covered! Check out our Top 7 pop-up cinemas you just have to check out this summer so you can tick them off your bucket list! 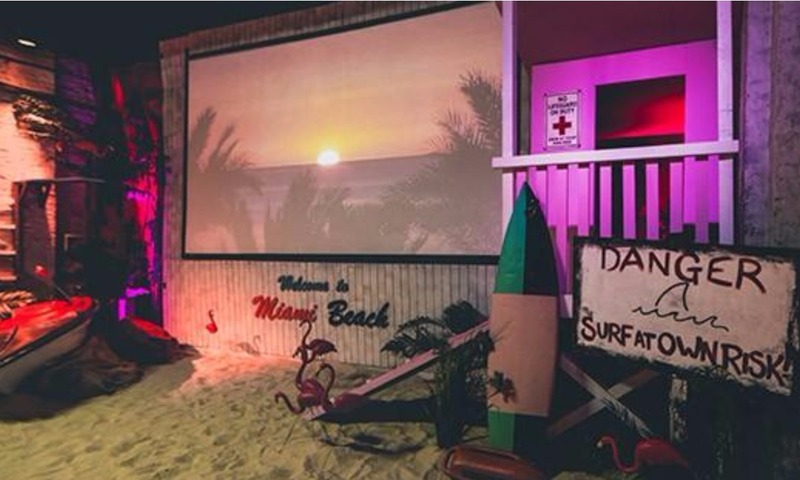 Backyard Cinema has brought Miami beach to London this summer with an exclusive indoor cinema giving you the outdoor feel of Miami’s sandy beach, whilst you sit back and watch Hollywood’s biggest blockbusters in your shades! The cinema is family friendly with showings from Finding Dory to Beauty and the Beast (2017) to Guardians of the Galaxy Vol. 2 and much more! Not forgetting the classics like Speed, Grease, Bad Boys and the newest Oscar winning hits such as La La Land and Moonlight, there’s a pick for everyone to choose from! The cinema is located near Elephant & Castle Underground Station and there’s a great variety of showings to pick from throughout June – August 2017. Tickets start from £16.50 per adult and £9.50 per child. If you’re looking for a unique way to watch a film this summer, why not catch a movie as you watch the sunset and sail across the River Thames?! TimeOut is hosting London’s first ever pop-up cinema on a cruise, throughout June and July this year! 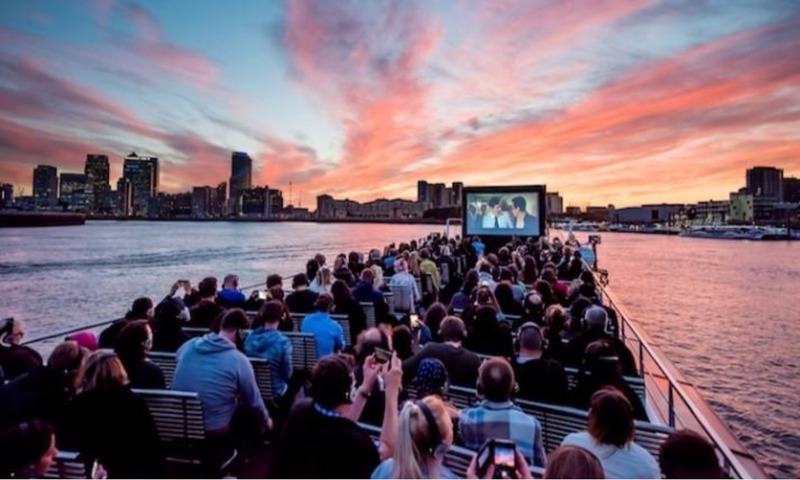 The boat boards at Tower Pier each night and movie-goers can enjoy screenings such as Jaws, Love Actually and Clueless (just to name a few), following their sunset boat ride. Tickets start at £29 and is over 18s only. Head down to The Scoop situated next to the River Thames every Tuesday from June – July 2017 and catch free screenings of Cool Runnings, Johnny English, The Lego Movie and even Finding Nemo! 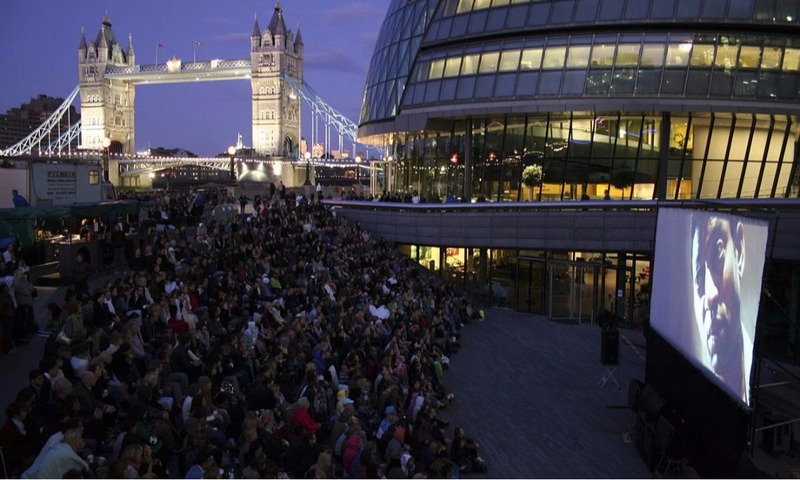 With a close-up view of Tower Bridge and a fun evening that won’t break your bank, the outdoor amphitheatre is the place to be this summer! As tickets are free, they are handed out on a first-come, first-served basis so hurry down there! 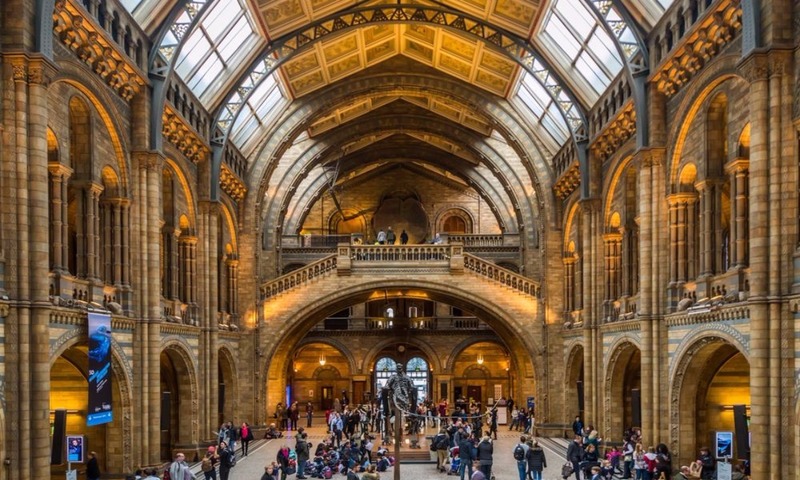 To celebrate the arrival of the blue whale at the Hintze Hall inside London’s Natural History Museum, an ocean-inspired cinema is making a splash this August. Take a trip around the museum in the day and enjoy a screening of Jaws, Free Willy, Finding Nemo and The Little Mermaid to wrap up your evening! Tickets are £28 each. The event is intended for over 18s but children aged 12 and above can attend if accompanied by an adult. 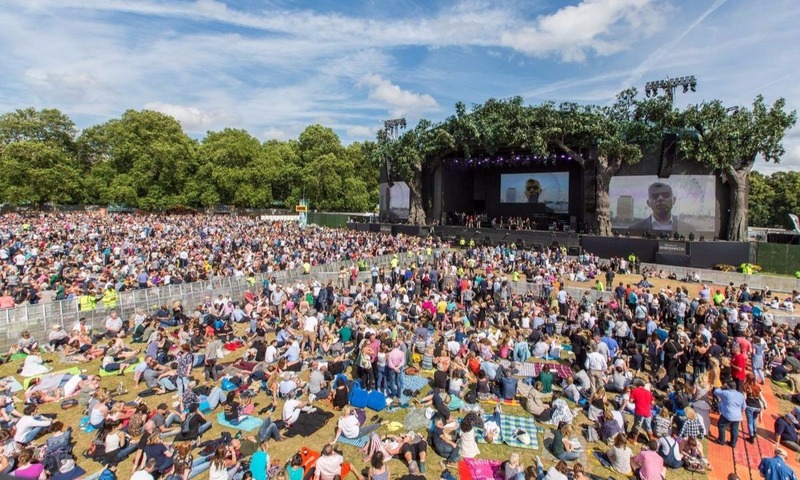 As part of 2017’s British Summer Time Festival in Hyde Park, there will be four nights of unmissable movies playing every evening on a giant screen! With each day holding a specific theme from Musical Monday to Creature Features, Fantasy Fantastic and Flashback Friday you can enjoy The Lion King, Fantastic Beasts and Where to Find Them, The Jungle Book and Dirty Dancing from 3 – 7 July in the heart of Hyde Park and it’s all for free!! Two different movies will play each evening, with the first showing beginning at 6:00pm and the second starting at 8:30pm. Somerset House is bringing back their much beloved movie season this summer with the U.K. premiere of An Inconvenient Sequel: Truth to Power to kick off the festival on 10 August! Throughout the month, there will be a screening on Moonlight, Donnie Darko, Cruel Intentions and much more! Screenings begin at 9pm each night but don’t hesitate to get there early… grab an early evening picnic and dance into the night with a film-inspired DJ set prior to your showing. Tickets start from £17. Do you love the combination of food and movies?! Who doesn’t! 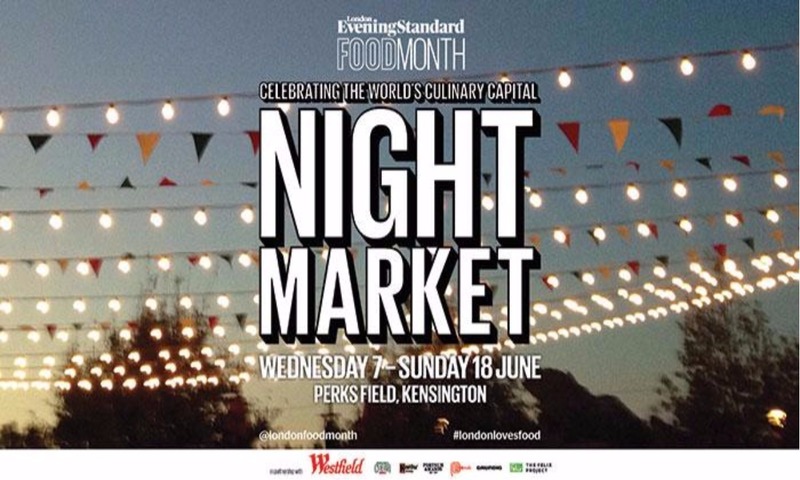 Dig into some tasty street food and then sit back and relax to view a screening of your favourite movies at the Night Market in Kensington from 7 – 18 June this summer! Westfield Open-Air Cinema is bringing you 50 diverse food stalls to choose from and 16 different films to watch from Rogue One: A Star Wars Story to Pretty Woman, Doctor Strange and Tangled to name a few. Tickets are £15 per adult and £8 per child.